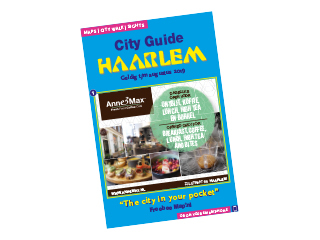 For an enjoyable day out at the shops, relaxing, taking in the culture or dining out, Haarlem is the ideal city. It is a lovely place to spend time, with its beautiful station, the canals, buildings and atmospheric shopping streets. Haarlem attracts many tourists and is just a short distance from the seaside resorts of Zandvoort and Bloemendaal. With a total of 19 inner courtyards, Haarlem certainly deserves the title of Hofjesstad van Nederland, the Inner Courtyard City of the Netherlands. There are also numerous fun activities for the little ones to do in Haarlem. Haarlem has an excellent location - offering both connections to the motorways for Alkmaar, Amsterdam and Schiphol Amsterdam Airport, as well as the tranquillity of the beaches and dunes. Haarlem city centre is surrounded by canals. Right in the centre is the Grote Markt market square with its beautiful buildings, such as the Town Hall, the Vleeshal former meat-hall and the St. Bavokerk church. The three main shopping streets, Barteljorisstraat, the Grote Houtstraat and the Zijlstraat are very well-known to Dutch people, because they can also be found on the Monopoly game board. They are definitely worth a visit. To the east of the city is the district of Spaarnwouderbuurt, where Haarlem’s only remaining city gate is to be found. While in the district, do not forget to visit the national monument De Koepelgevangenis panopticon and the De Adriaan windmill. To cross the Spaarne river there are two monumental swing bridges that connect the banks to each other, the Gravestenenbrug and the modern Lange Brug, both ideal locations for taking photographs. Haarlem is a city featuring many different architectural styles. For example, the design of the theatre De Toneelschuur was based on a sketch by cartoon artist Joost Swarte; while the buildings in the area of the De Appelaar car park have a typically modern architectural style. Haarlem has everything to offer in the area of art and culture. If you love visiting museums, Haarlem is the place for you. The Frans Hals Museum has many art exhibits from the Golden Age, including works by famous Haarlem artists, Frans Hals, Jacob van Ruisdael and Pieter Saenredam. The Teyler Museum is the oldest museum in the Netherlands, where you will find world-famous prints and sketches by Rembrandt and Michelangelo. Be sure to wear comfortable shoes, because Haarlem has everything to offer for a great day’s shopping. In the most well-known little streets of Haarlem, such as the Warmoesstraat, the Kleine Houtstraat and the Gierstraat, you will be pleasantly surprised by the many special shops. In the area of the Grote Markt, you will find exclusive shops, trendy clothing boutiques, charming antique shops and curiosity shops, and many specialist shops for everything you could want. Shopping tip: Visit the Kleine Houtstraat, a charming street with a quaint and nonchalant atmosphere, that runs parallel with the Grote Houtstraat. This street was named the ‘loveliest shopping street in the Netherlands’. From April to October, lovers of antiques and curiosities can visit the Antiques markets, held every second week, with more than 100 stalls, at De Dreef beside the Provinciehuis provincial government building. Haarlem has much to offer in the way of culinary delights – whether you just want a quick snack or to dine out in style, you will be spoilt for choice. In the little streets in and around the shopping area, you will discover many lunchrooms, trendy coffee houses, as well as restaurants serving national and international cuisine. The area around the Grote Markt and the Houtstraat has many pubs and attractive bars. Well-known venues are the Poppodium Patronaat music theatre and the Lichtfabriek events centre. In the summer, enjoy a drink or a bite to eat at a pavement café at the Grote Markt, the Botermarkt, the Oude Groenmarkt, the Klokhuisplein or along the Spaarne river. Another trendy place to go to is the city beach bar De Oerkap.